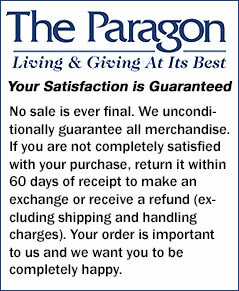 When you become a The Paragon's email subscriber, we'll send you up-to-the minute The Paragon updates and deals that start NOW! Signup today and you'll get an instant email coupon for up to $5 worth of FREE products! Enter your email address, then check you email inbox for your $5 coupon and start shopping! Rest Assured: The Paragon will not share or exchange email information that you provide us. Get free products worth $5 on your order of $25 or more!